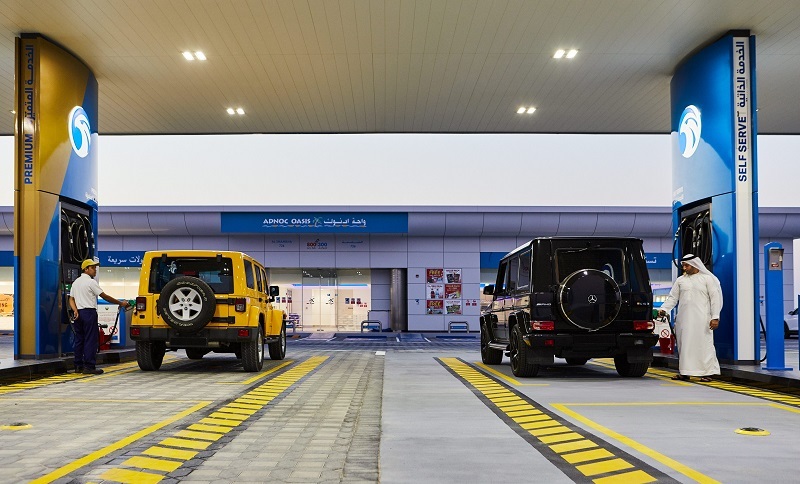 Motorists in Abu Dhabi will have to refuel their own cars or pay for assistance at Adnoc fuel stations from June 30. Adnoc Distribution has introduced its new Flex service programme, which will be rolled out across Abu Dhabi in the initial phase, before being implemented in the northern emirates. Those opting for the premium service will have to pay Dhs10 for assistance from attendants to refuel their vehicles. They will also have their windshields cleaned and tyre pressure checked and receive rewards that can be redeemed through their receipt. The premium rewards include coffee, snacks or a discount on an in-station car wash. Rewards can be redeemed within 30 days of the initial purchase. The elderly and people of determination will be exempt from paying the service fee, a statement said. Adnoc Distribution introduced customers to the new premium service on a trial basis from mid-April, and also offered motorists training on how to use the pumps and insert the nozzle into vehicles. Those opting for the self-service option can pay with cash or credit card. They can also use the ‘Smart Tag’, a new payment option that is based on a tag being fixed to a vehicle to automatically trigger payment from a pre-paid Adnoc wallet. It can also be connected to other payment options including the Emirates ID card or Adnoc Plus card. Those who are interested in an Adnoc wallet can register online on the company’s website or at of its smart service centres. Saeed Mubarak Al Rashdi, Adnoc Distribution’s acting CEO, said: “Adnoc Distribution is focused on moving our business model to a smarter, customer-centric model. Adnoc Distribution also told The National newspaper that there were no plans to increase the fee and that no pump attendant jobs would be lost.